Apply now for the property tax assessment freeze in Hinsdale, IL! Have you been waiting to update your historic home? Now you can, thanks to the Illinois State Historic Preservation Office’s property tax assessment freeze! If you own a single-family home, (or even a residential, condominium, or cooperative building) and it is registered as historic, you may be able to take advantage of this new program. Interested? Here are the details and the resources you’ll need. What is the Property Tax Assessment Freeze? Last month, the Illinois State Historic Preservation Office implemented a property tax assessment freeze, intended to entice homeowners to rehabilitate their older properties. The new program freezes the assessed value of your historic home for 8 years and then gradually, over the next 12 years, brings it back up to the current market value. Spend at least 25% of the current fair cash value of their home on rehabilitating it within 24 months of starting the program. Meet the “Standards for Rehabilitation” set by the Secretary of the Interior. How did Hinsdale, IL get on the list for the property tax assessment freeze? Hinsdale not only has many homes and buildings already on the National Register of Historic Places, it has two neighborhoods listed on the National Registry of Historic Districts. The most obvious district is the Downtown Hinsdale Historic District, which is beautiful and important in its own right, but comprised of businesses instead of residences. The neighborhood that helped Hinsdale qualify for the property tax assessment freeze program is the Robbins Park Historic District. How do I participate in the property tax assessment freeze? Check the National Registry of Historic Places to see if your home is already designated (although you probably know this already). If your home is not on the registry, you may still qualify by checking with the National Park Service to see if your home lies in a district. If not, you can also talk to the Hinsdale Historic Commission. If your home is not currently on any approved national or local registries, you may apply to have it included. Then, and only then, should you depend on savings from the tax freeze to complete any work on your home. Once you know your home qualifies, start the application process with the Illinois State Historic Preservation Office (SPHO). Part one of the application consists of the SHPO confirming that your home is eligible for the program, which will be easier for you if you have already checked it out. Get your finished work approved with the SHPO before you begin work. The office will require a description of the work you are planning, and any photos or prepared architectural plans will only help your case. Be as detailed as possible, including estimated start and finish dates, estimated costs, and project contacts, if you are not doing the work yourself. If you are doing the work yourself, you can estimate the hours it will take to complete the project and estimate the labor at minimum wage ($8.25/hour in 2018). As far as meeting the Secretary’s Standards, read them in their entirety, and be sure to contact SHPO for clarification. The standards do apply to both the interior and the exterior of your home, and emphasize retaining the “historic character” of the building. They also call for gentle means of restoration, so no sandblasting allowed. Once your planned work is approved, be sure to let the SHPO know if anything changes as your work progresses. Also, be aware that if you sell the property while the initial 8-year freeze is in place, the freeze will be lifted. It does not transfer to the new owners; rather, the fair cash value of the home will return to the current rate. After completing the rehabilitation on your home, you must then submit Part 3 of the SHPO application, which is a detailed summary of the completed work. It should include start and completion dates, recent photographs, spreadsheets of expenses, receipts, tax bills and property tax assessments for the year you began work. If your application is complete and approved the SPHO will let you know within 45 days and submit the information to your local tax assessor. 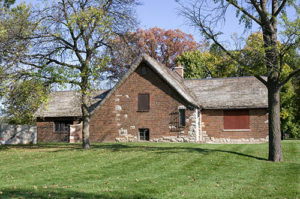 Ready to buy a historic home in Hinsdale, IL? Nancy Miller, Realtor with Coldwell Banker is here to help. A long-time resident of nearby La Grange, IL, Nancy has over 25 years of real estate experience in Chicagoland, including Hinsdale. 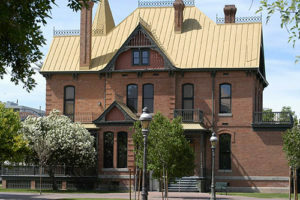 Contact her now to start exploring the possibility of buying your own historic home to rehabilitate!